Everytime we plan a trip to Kerala – the state that is known as God’s Own Country, I am super excited to spend time in the lap of nature. This time, we planned a 3 day visit to Kumarakom, a tiny town, about 2 hours away from Kochi. 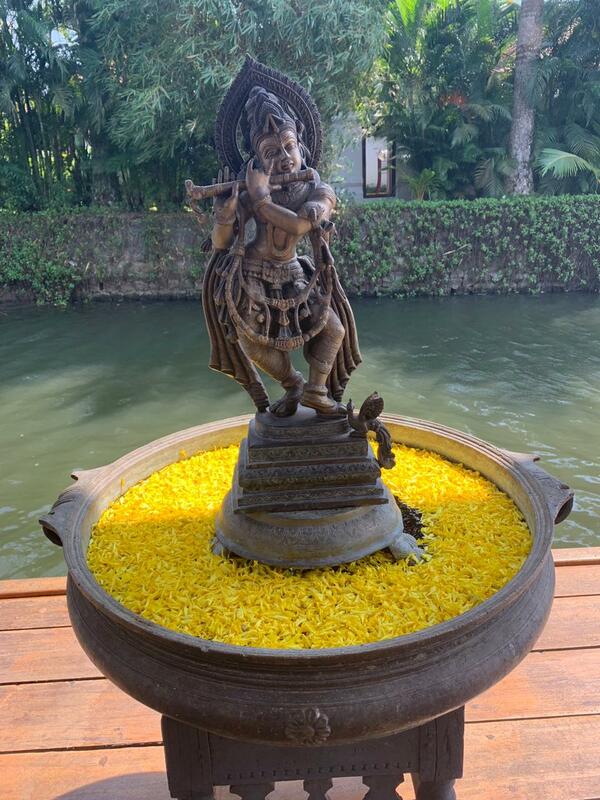 We stayed at the most popular luxury resort of Kumarakom, Kumarakom Lake Resort. 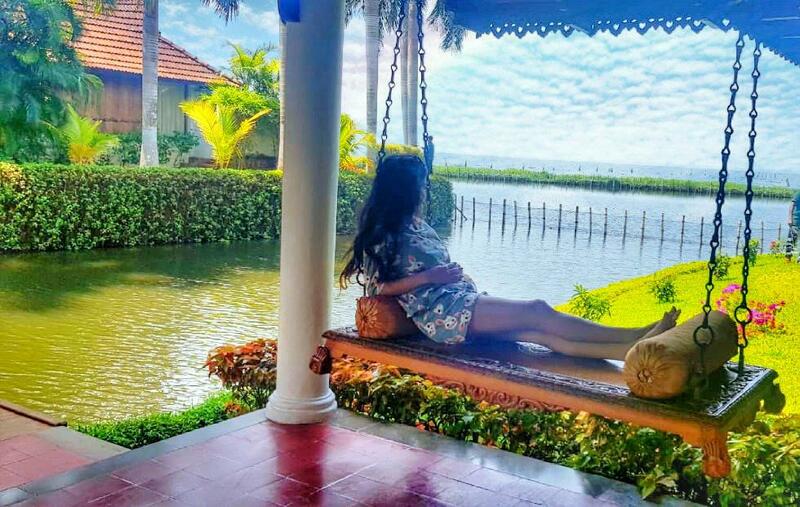 Featured as “One of the most Luxurious Holiday Destinations in the World” on BBC, Kumarakom Lake Resort defined magnificence in every possible way. Booking: The process of booking was smooth, we booked online through a travel app. The reception however, took a while to give us our rooms. 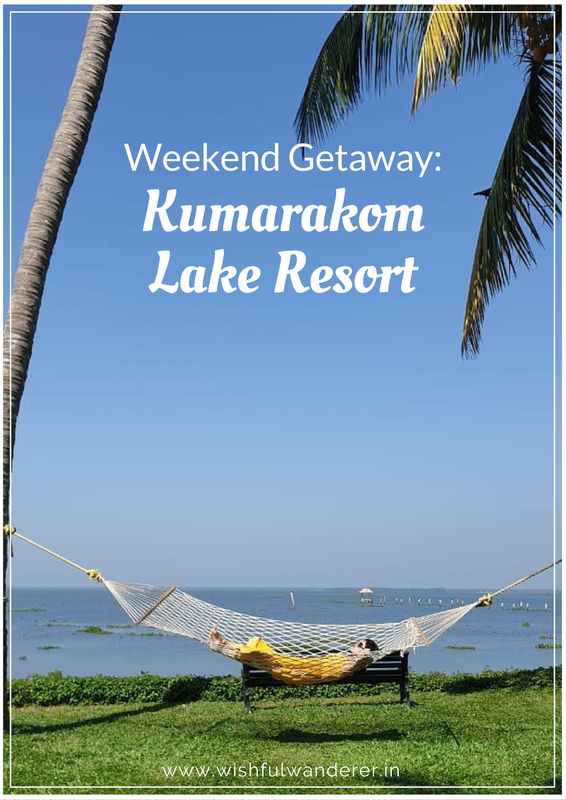 Travel: Kumarakom Lake Resort is located about 75 kms away from Kochi Airport, which is the nearest airport. 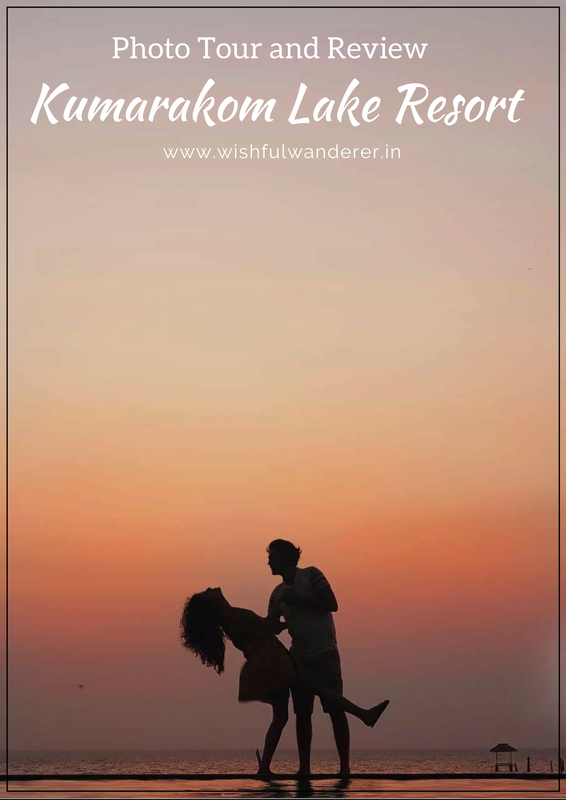 There’s not much to do around the resort or in Kumarakom but if you wish to visit other restaurants in nearby hotels or local shops, you can get an auto rickshaw by requesting the reception. We were welcomed with a traditional tikka on our foreheads and welcome drinks were offered to us at the reception. The property is huge with an infinity pool overlooking the lake. There are two restaurants inside the property and one garden area called, Thattu Kada, where high tea and snacks are served. 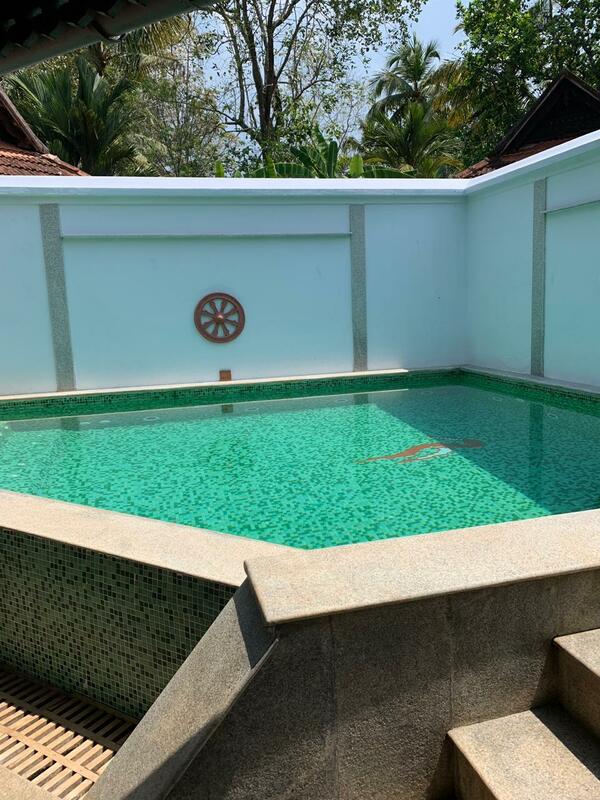 They have lots of things to do inside the property itself, which is great, because there’s absolutely nothing to do in Kumarakom. There’s fishing, pottery, mat making; you can go for a sunset cruise, attend a cultural show, play indoor games or just soak in some sun on the hammock. 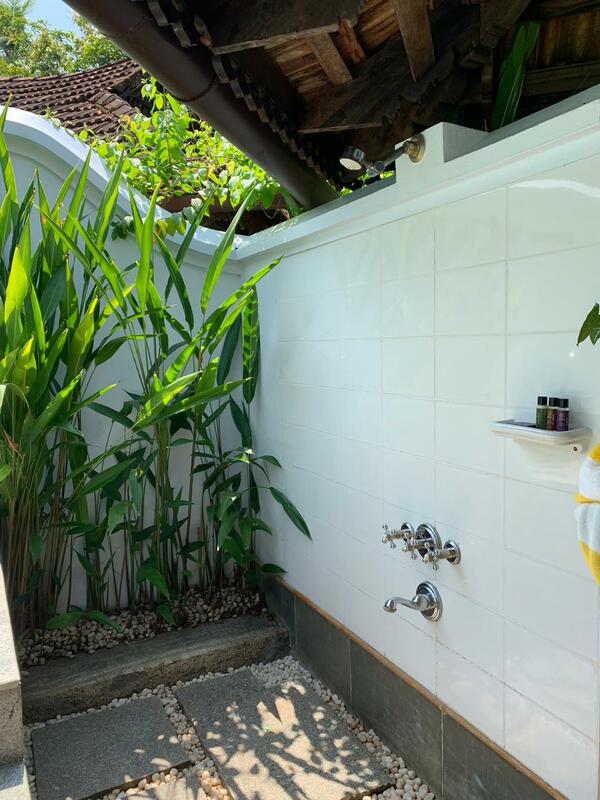 The rooms are huge, we had booked the pool villas so we had a plunge in pool with an open shower and a jacuzzi inside our room. The rooms are equipped with all the basic amenities like a tea-coffee maker, shaving-dental kit, bath robes, etc. The service was a little slow probably because the property is huge but nevertheless polite. They would oblige with a smile whenever we asked them for anything. Special mention to Ravi, who besides being a great staffer was an amazing photographer and was taking some mind-blowing photos of all the guests, upon request. He was there on the sunset cruise ride as well to ensure we all got the perfect sunset shot! The food at the Ettukettu was great, they had a good mix of local delicacies alongwith Chinese, Mughlai, North Indian and Continental options. The breakfast buffet had a huge spread as well. 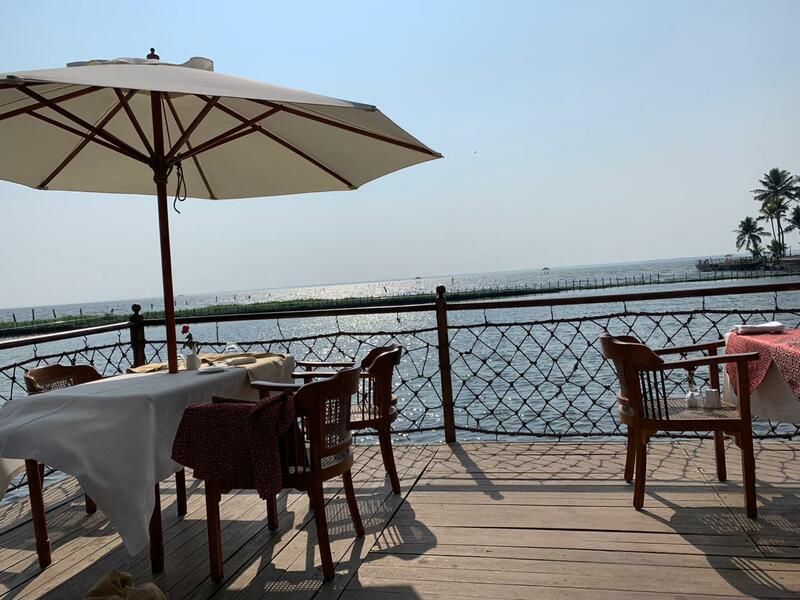 The other restaurant was a seafood speciality restaurant which we didn’t try as it required a prior booking and we were unaware about the same. At the Thattu Kada, an open garden with chairs and tables, we savoured some delicious local snacks alongwith the best filter coffee or tea, every evening. 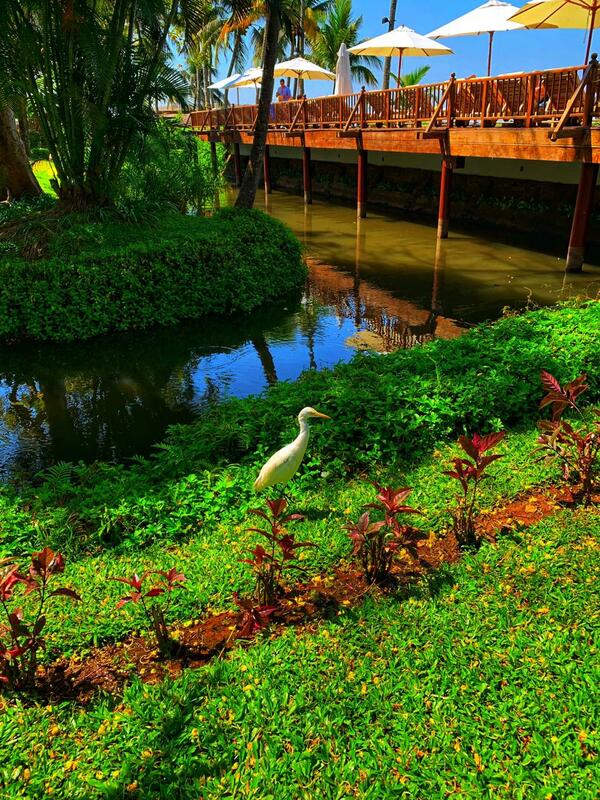 Getting There: Getting to Kumarakom Lake resort is easy. You get prepaid cabs from the airport or you can also book an Uber. It could cost you anywhere between Rs.1500-Rs.2500 depending on the season. 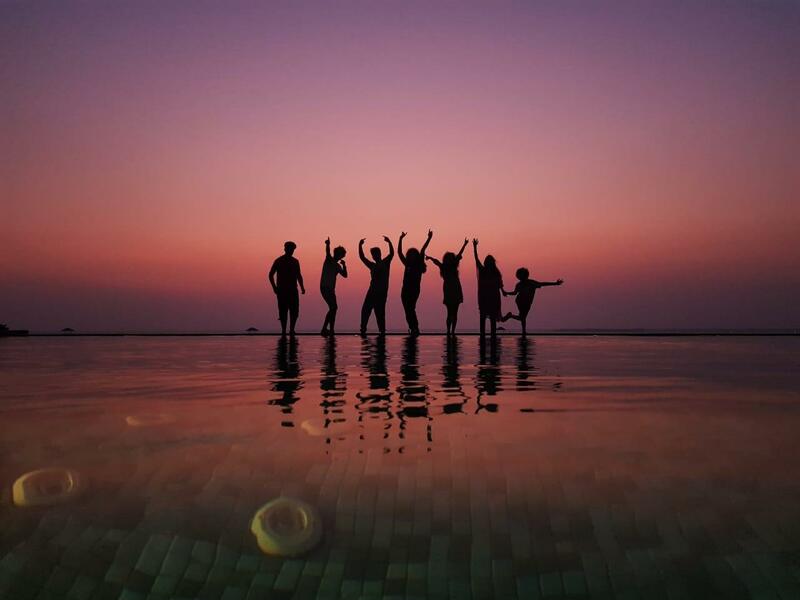 Overall, if you’re looking to enjoy a good staycation with your family, Kumarakom Lake Resort is the place to go! It’s a perfect venue for a celebration, a get together or for a special occasion. You need to be here for 2 days atleast to enjoy the place to the fullest! Posted in India, Places to visit, Travel, Weekend Getaway, Where To Stay, World TravelTagged #TravelWithC, award winning travel blogs, best indian travel bloggers, best indian travel blogs, best travel blogs, chandni tolani, featured, hotels, india, india travel, indian travel bloggers, indian travel blogs, international travel blogs, kerala, kumarakom, kumarakom lake resort, luxury resorts, luxury travel blogger, luxury traveller, mumbai getaway, nature travel, resorts, south india, travel, travel blog, travel bloggers, travel blogging, travel diaries, travel photography, traveler, travelers, traveller, trips, weekend getaway, where to stay, wishful wanderer, world travelBookmark the permalink.